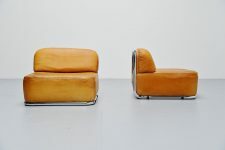 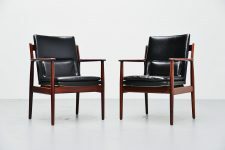 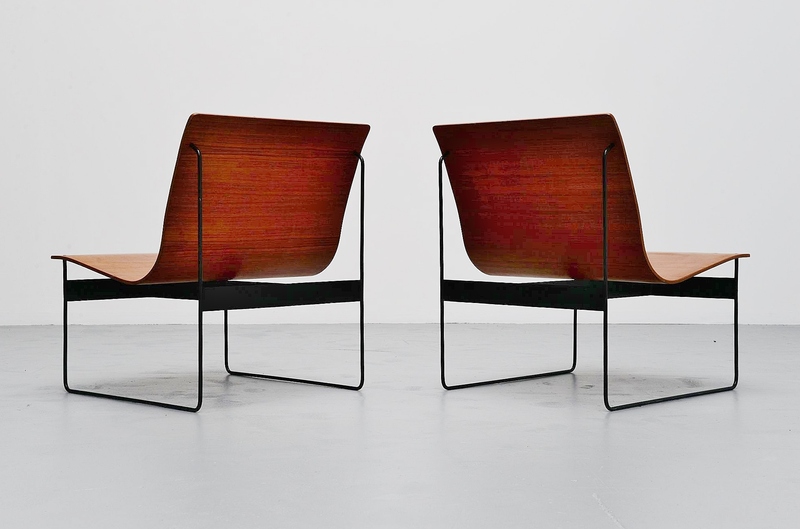 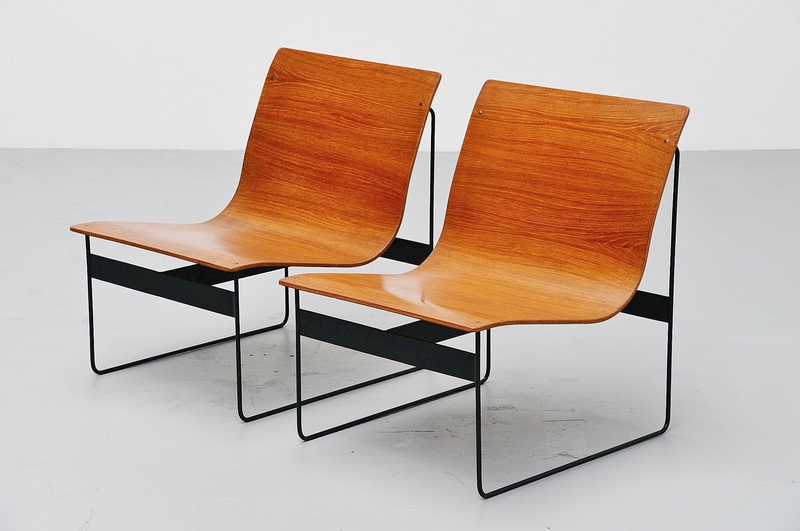 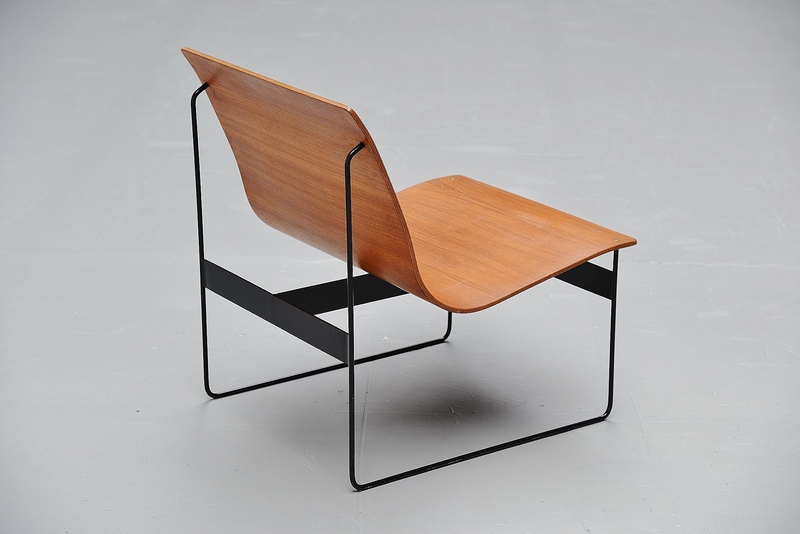 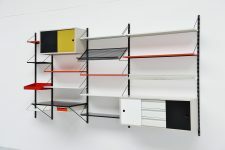 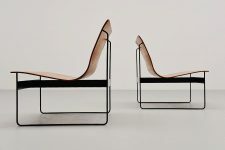 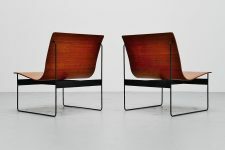 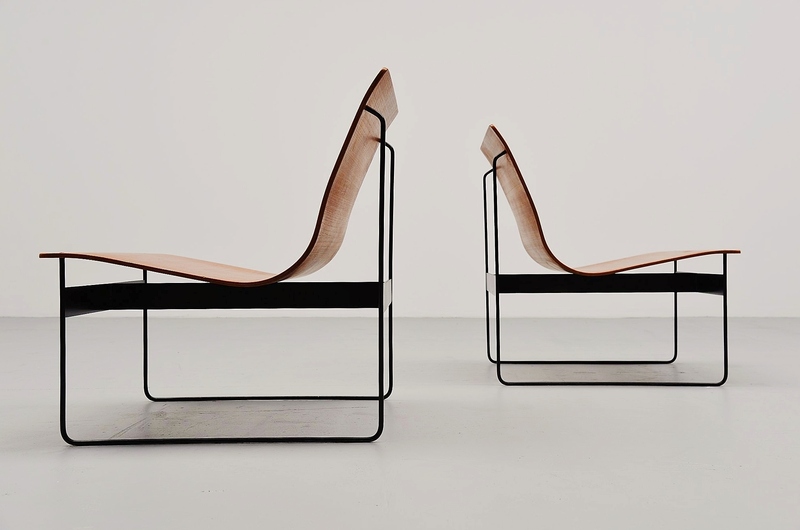 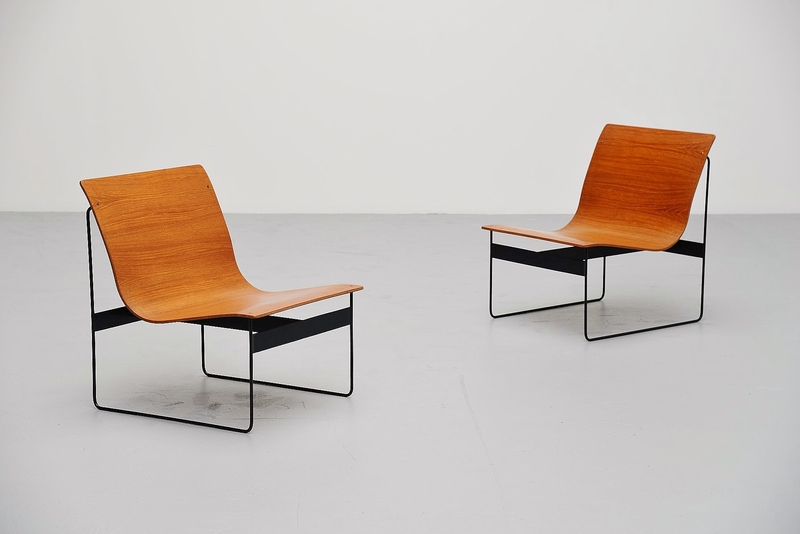 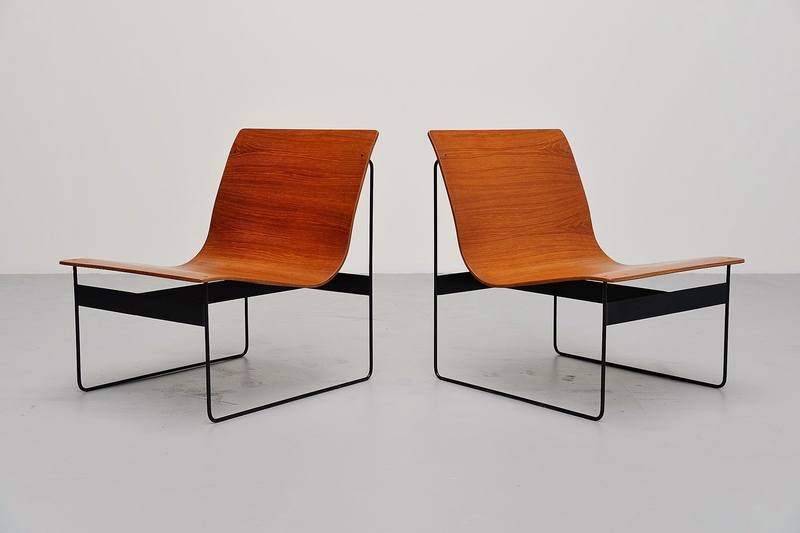 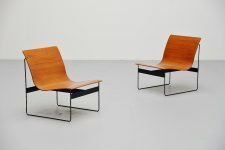 Amazing pair of lounge chairs designed by Günter Renkel for Rego, Germany 1959. 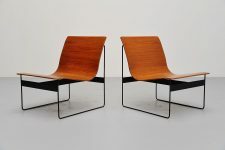 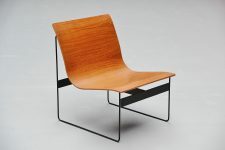 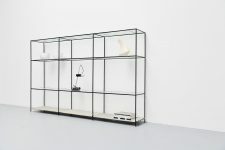 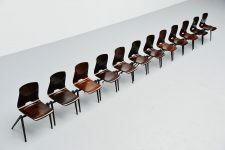 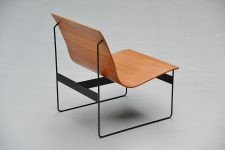 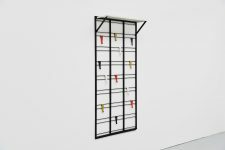 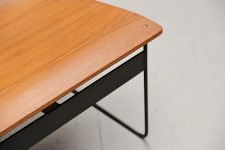 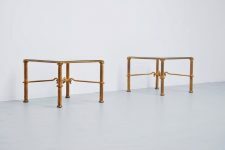 These chairs are made of teak plywood and have solid metal sophisticated sledge frames, black lacquered. The chairs have a very nice and warm grain to the wood and look amazing. 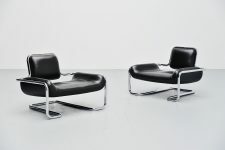 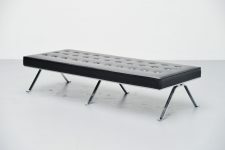 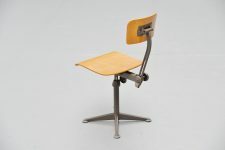 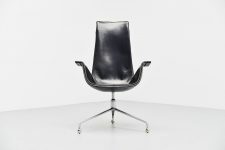 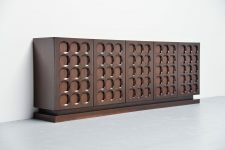 Comfortable seating pleasure and great to match with other modernist furniture from the same era. 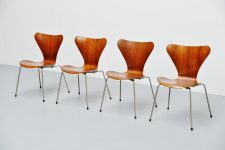 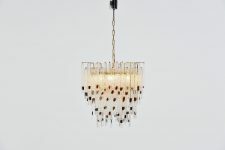 Priced and sold per 2 only.